The FDA identified 457 unique cases of anaplastic large cell lymphoma (BIA-ALCL) associated with breast implants. The number of people diagnosed with lymphoma after receiving breast implants has gone up, the U.S. Food and Drug Administration reported on Wednesday. The FDA identified 457 unique cases of anaplastic large cell lymphoma (BIA-ALCL) associated with breast implants as of Sept. 2018, Dr. Binita Ashar said in a statement. That’s 43 more cases than what was reported in last year’s report when the FDA identified 414 total, unique cases. Nine people have died from BIA-ALCL, a type of cancer of the immune system, associated with breast implants, the statement also said. 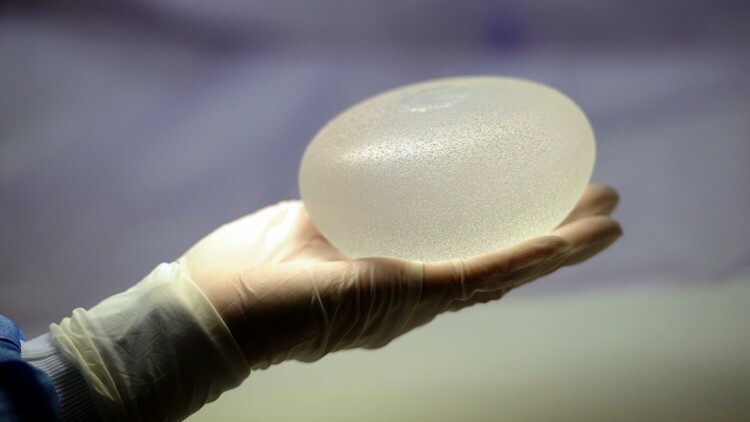 “We hope that this information prompts providers and patients to have important, informed conversations about breast implants and the risk of BIA-ALCL,” said Dr. Ashar in the statement. A picture taken on January 12, 2012 in Boissy-l'Aillerie, northern Paris, shows a technician presenting a silicone breast implant produced by French implant manufacturer, Sebbin laboratories. Several different research publications have tried to estimate the likelihood of people with breast implants developing BIA-ALCL. The FDA said the estimated changes range from 1 in between 3,817 to 30,000 people.